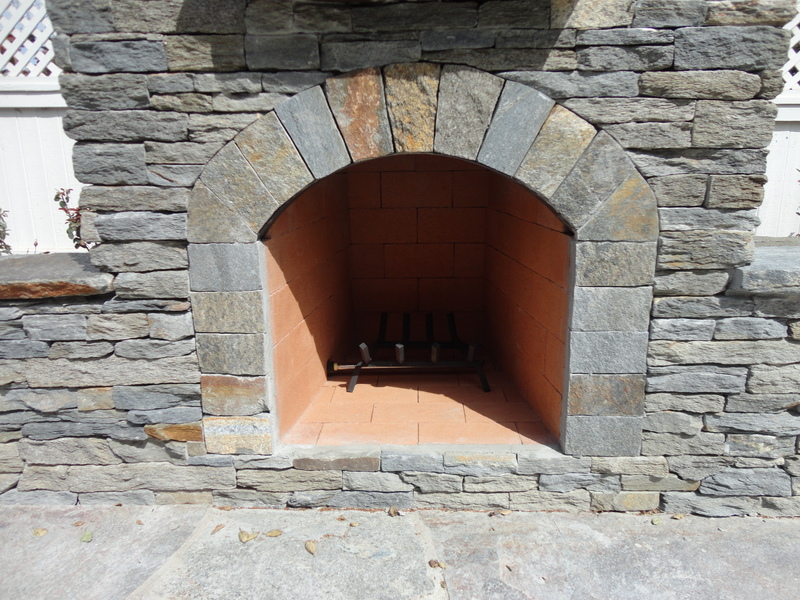 Outdoor fireplace lined with spit face and full fire bricks with log holder and gas inlet for propane or natural gas. This entry was posted on Monday, August 19th, 2013 at 10:53 am. It is filed under . You can follow any responses to this entry through the RSS 2.0 feed. You can leave a response or trackback from your own site.